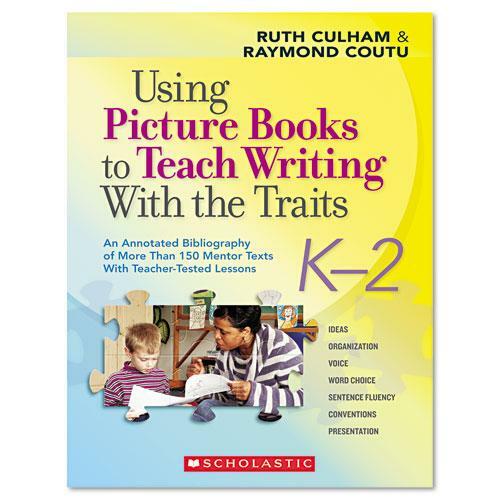 I highly recommend Ruth Culham's & Raymond Coutu's book to teach 6-traits! I first came upon this resource while student teaching. As many know, there isn't time to read large books while teaching. This describes each of the 6-traits. Each 6-trait has two or three lesson plans, and each lesson plan is based on a mentor text. 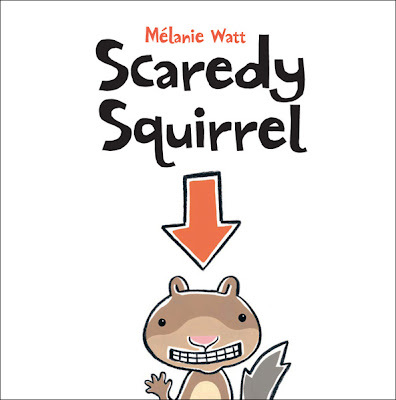 I love Scaredy Squirrel--and it is a great book to use to talk about how to organize a story. I split the class into six groups of four. Each group received a large piece of paper--and worked together on that portion of the book: the completed project: Scaredy Second Grader. What scares you about going to third grade? What are the advantages/disadvantages of staying in second grade? Daily Routine of second grade? Scaredy Second Grader never leaves second grade. She'd rather stay in her safe and familiar classroom than risk venturing into third grade. Third grade can be a scary place for a second grader. A few things Scaredy Second Grader is afraid of: ISAT Tests, third grade bullies, not being in class with the same friends, third grade work, teachers, Worker Wednesdays, and Wednesday overheads. She even heard there were clowns, snakes, and spiders in third grade. She is perfectly happy to stay right where she is! In Scaredy Second Grader's classroom, every day is the same. Everything is predictable. All is under control! But let's say, just for example, that something unexpected DID happen..... You can rest assured the the second grader is prepared! 1. Jump out of window. 2. Get bad grades so they will send me back to second grade. 3. Run around the school like a hobo. 4. Pretend to be sick so they will send you back to second grade. Remember, if all else fails, playing dead is always a good option! With emergency kit in had, Scaredy Second Grader learns and studies. Day after day she learns and studies until one day . . . . . .
Second Grade Ends! Scaredy Second Grader jumps in panic, knocking her emergency kit out of her classroom. THIS was NOT part of the plan. Scaredy Second Grader jumps to catch her kit. She quickly regrets her idea becasue she jumps right into third grade. She notes that third grade isn't so hard. There is nothing horrible happening in third grade. Even ISAT tests aren't that hard! After compiling the book--each student was able to illustrate their own personal book. Think about the students making their own emergency kits. I would love to be able to do this project again--and hope it would turn out even better! I love this idea. We can talk about how we feel about a 2/3 blend.